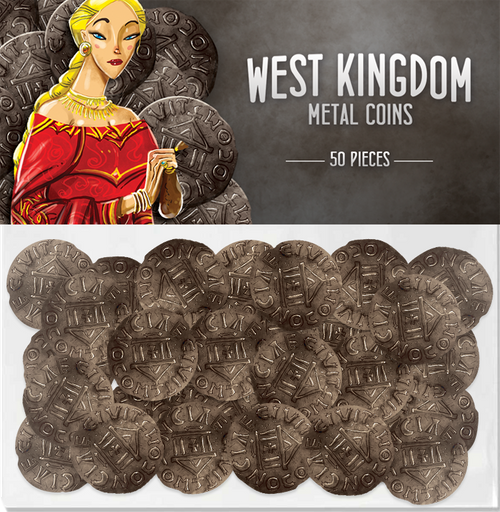 Architects of the West Kingdom Gets Royally Cooler with Metal Coins! San Diego, CA (Oct 8, 2018) — Renegade Game Studios™ and Garphill Games are excited to announce a new accessory for the follow-up to the North Sea Trilogy, the West Kingdom triology! Cement your victory with these hefty metal coins! One set will upgrade all three games in this trilogy starting with the 2018 release, Architects of the West Kingdom. You can find this accessory on game shelves beginning November 2018. Pre-order from your Friendly Local Game Store now or through the Renegade Store. Newer PostKids on Bikes gets spookier with Strange Adventures Volume One! Older PostHokkaido brings a change of scenery to the mechanics of Honshu!